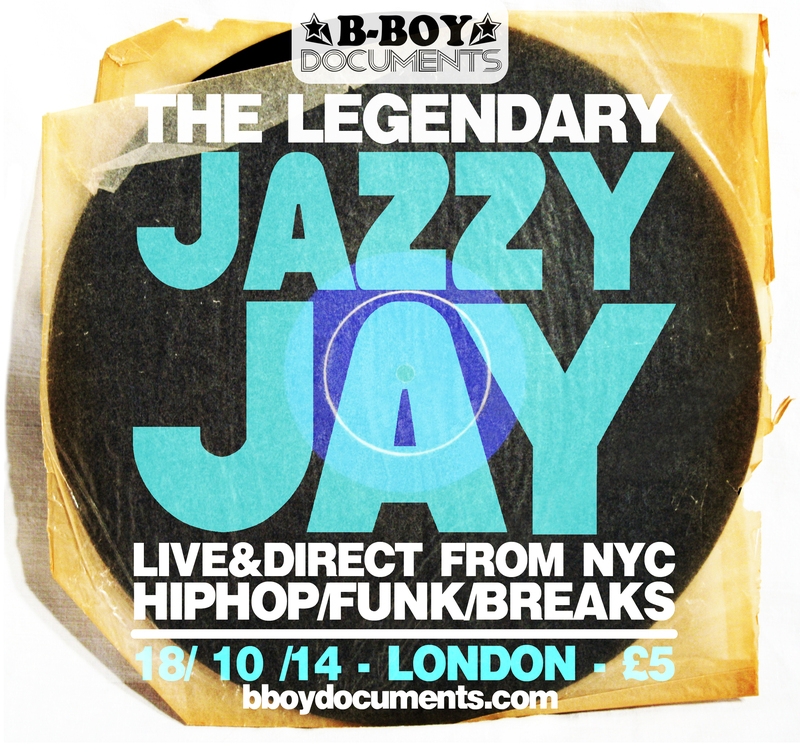 Ladies and gentleman, for B Boy Documents in 2014, we are honoured to present the legendary Jazzy Jay live and direct in London, NW6, on Saturday 18th October 2014. Jazzy Jay….South Bronx, protege of Afrika Bambaata, Zulu Nation DJ, Jazzy Five, Jazzy Sensation, Planet Rock, Beat Street, Negril, The Roxy, Kiss FM, Def Jam, It’s Yours, Cold Chillin’ In The Spot, Strong City, Scratch…and THAT studio in the Bronx. 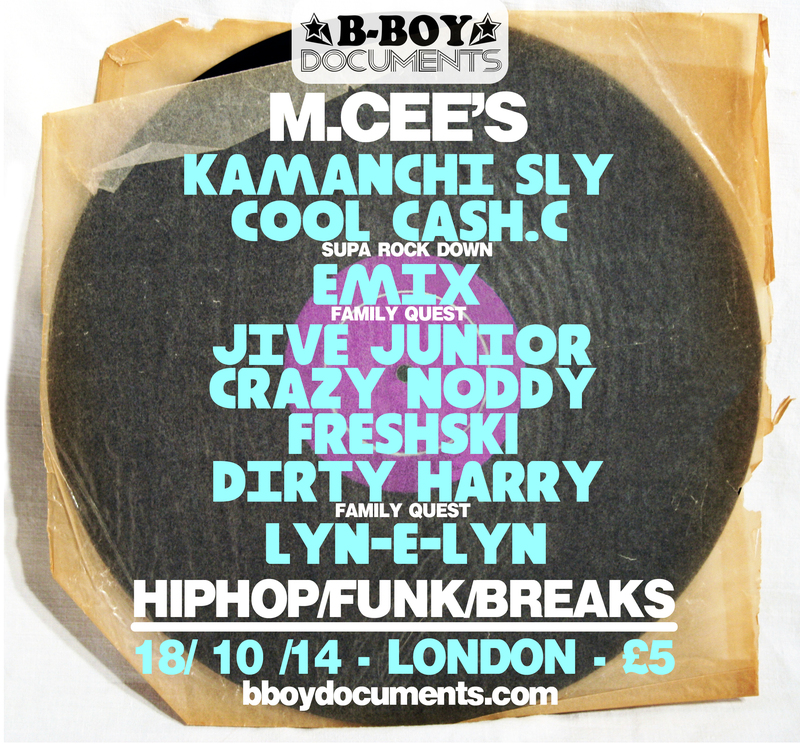 On the Wheels of Steel, alongside Jazzy Jay, we have DJ Fingers, DJ Devastate, Kid Dyno, Aidan Orange, Bunny Bread, and Def K.
Your Masters of Ceremonies for the evening will be Kamanchi Sly, Cool Cash C ( Supa Rock Down ), Jive Junior, Freshski, Emix ( Family Quest ), Dirty Harry ( Family Quest ), Crazy Noddy and Lyn-e-Lyn. 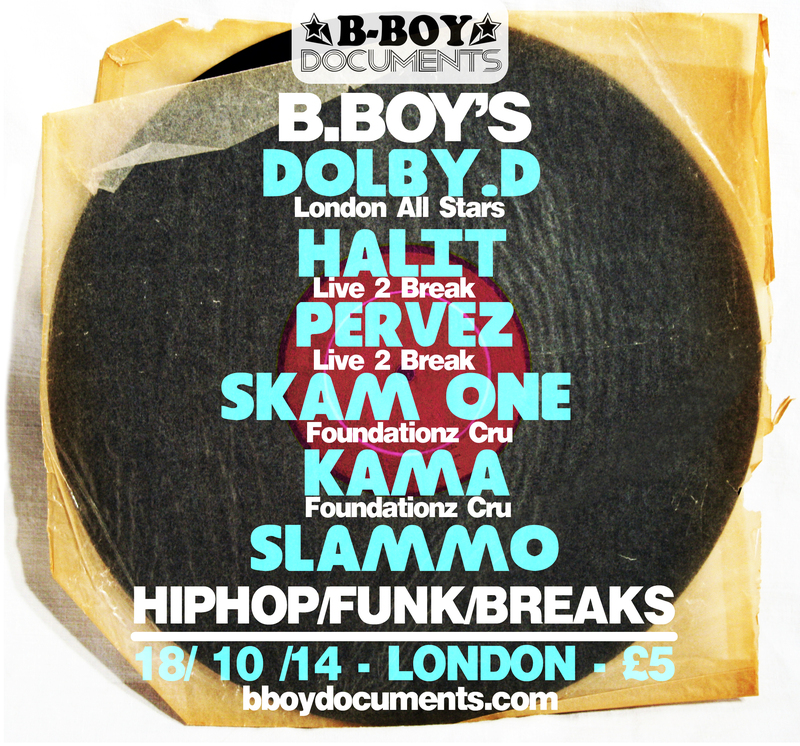 On the floor, the B Boys are Dolby D ( London All Stars ), Halit ( Live 2 Break ), Pervez ( Live 2 Break ), Skam One ( Foundationz Cru ), Kama ( Foundationz Cru ) and Slammo ( SUP Crew ). Party times: 10pm until the early morning! 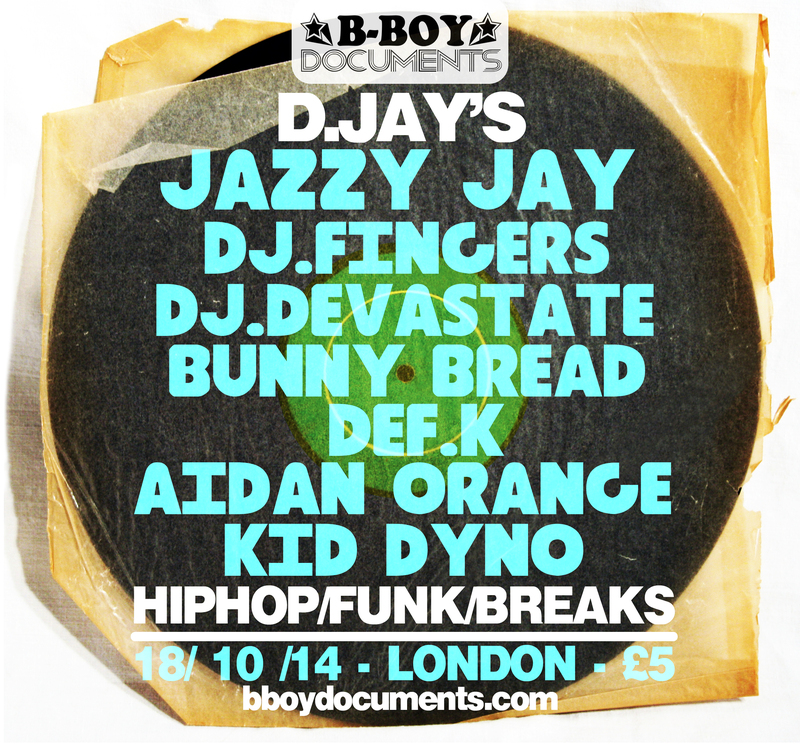 Posted on October 3, 2014 October 9, 2014 by bboydocuments	Bookmark the permalink.